Running has many advantages, it promotes weight loss, increases lung capacity and can even help prevent diseases like breast cancer in women. Additionally, running even has the ability to improve mood, and I specific cases help overcome depression. However, as with every good thing, running also presents a number of risks. Without taking the proper precautions, running can cause dehydration, heat stroke or even injury. Running is an important part of a healthy life, but it’s vital to ensure that the proper precautions are taken, every step of the way. Buying running shoes can be a lengthy and disappointing process, wondering which shoe does what and how it works best for you. Below we’ve listed ten running shoes that you can check out to see which one works best for you. 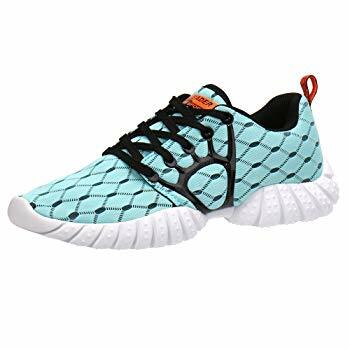 ALEADER’s Women’s Lightweight Mesh Sport Running Shoe is made with a double mesh fabric and a rubber sole. This allows for maximum airflow and breathability, while maintaining durability. Moreover, the lace up design offers your foot full support and the cushioned insole ensures your comfort. The rubber sole provides for a stable walk on all surfaces and the midsole provides excellent shock absorption. Finally, the lightness of the shoe allows for a barefoot feel and a more natural walk. This running shoe is made with a waffled rubber sole with a no-slip design. 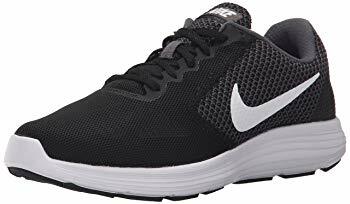 It is lightweight and flexible, which allows for comfortable running, and is built with a 360 air cushion sole for ensured comfort. Both the insole and outsole are made from premium materials, which allows for durability and a quality assurance – the shoes comes with a three-month quality warranty. Finally, with each purchase of ONEMIX Women’s running shoes, you will receive a free pair of ONEMIX socks as well as an extra shoelace. 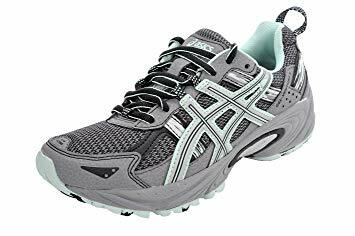 ASICS Women’s GEL-Venture 5 Running Shoe is made with an ASICS high abrasion running sole. This sole is perfect for trails as it’s made for multiple surface traction. Additionally, the shoe is made with a gel cushioning system for maximum comfort and a durable exterior for any occasion. Finally, this shoe is wide, spacious, and comes with a removable sock liner in order to fit any size foot and even orthotics. 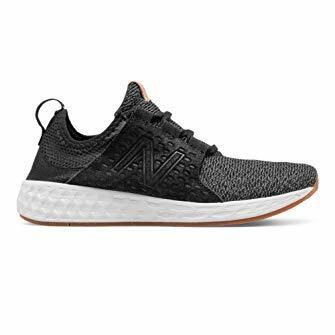 This New Balance Women’s running shoe features Fresh Foam cushioning support, which ensures both comfort and durability. The exterior of the shoe is made with breathable mesh that supports air flow and allows for maximum flexibility. Moreover, the shoe features a foot catching saddle in the middle of the foot for perfect fit, and molded foam at the heel for support and comfort. Finally, this shoe allows for easy slip on and off, perfect for when in a rush. NIKE Women’s Revolution 3 Running Show features a rubber outsole that provides excellent traction and grip. The material on the upper of the shoe is mesh; for optimal air flow and breathability keeping your feet feeling fresh. 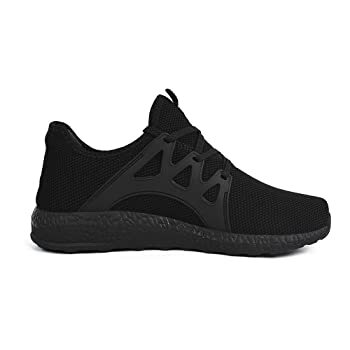 The shoe is lightweight, and the soft foam cushioning keeps the shoe comfortable without adding weight. Finally, cutouts and underlays in the foam provide support, response and structure. Adidas’s Women’s Cloud Foam QT Racer Running Shoe is made with cloud foam technology. The cloud foam sock liner shapes the foot and provides superior step in comfort, while the cloud foam midsole ensures comfortability. Additionally, the shoe is made with a rubber sole for grip and mesh material for optimum air flow. Finally, the slim style allows for snug fit and sleek look. 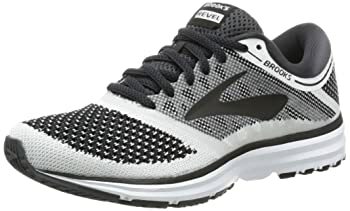 This Brooks Running Shoe features a stretch saddle in the middle of the foot for a comfortable and secure fit. The BioMoGo DNA Midsole responds to your individual step, and the heel segmented crash pad makes landings easier while also smoothing the heel to toe transition. 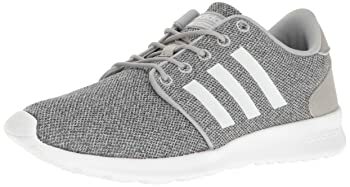 Additionally, the rubber under sole provides a secure grip, all while the knit exterior promotes air flow and breathability. Feetmat Women’s Sneakers are made with a lightweight mesh material that keep the foot breathing and feeling fresh. The under sole is made with flexible rubber which allows for a stable and flowing run. Additionally, the stretchy material of the shoe can stretch with your foot as you run which help reduce chafing and irritation. Finally, these arch supporting sneakers are made with environmentally friendly material, so your foot isn’t the only thing you’ll be protecting. 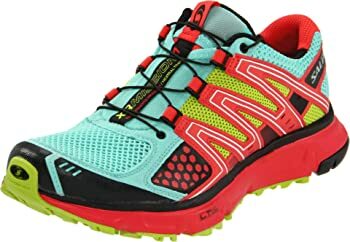 This Salomon sneaker features the companies quicklace system, which provides each wearer with a unique fit. Additionally, the outsole is made with Contagrip technology, which provides a reliable and durable grip during your run. The mesh material of the shoe promotes airflow and keeps from moisture build up within the shoe, while the foam inserts reduce friction and chafing. Finally, the sensfit gechnology cradles the foot and allows a natural flow of the foot while in motion. 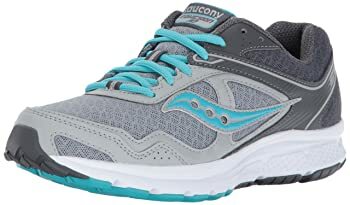 Saucony Women’s Cohesion 10 Running Shoe features a heel grid system that offers both stability and cushioning. The mesh upper provides ventilation and promotes breathability, keeping your foot feeling cool and comfortable. Additionally, the rubber sole allows for a firm grip to ensure stability while running. Finally, the shoe is made with a comfortable tongue and collar to keep from chafing and irritation. Running shoes are shoes that are designed for the purpose of running. They are shoes that have built in features, like shock absorbers and foot saddles, to keep your feet comfortable and safe while you embark on your running journey. Different from regular shoes and sneakers, running shoes try to promote airflow, evaporate moisture and ensure that every run is as comfortable as can be. Running shoes are specially made for runners, with multiple benefits built in to help the running experience. Given their function, running shoes are no doubt a staple in every runner’s closet. Protect Your Feet – Whether it be from dirt, or rocks or the weather, it’s important that you protect your feet from all the possible dangers that the outdoors can present. Comfort – Having the right cushioning in your running shoe can prevent you from overworking your feet. While running it’s easy to cause fractures, stress joints or bruise your feet, and the cushioning in your shoe can help prevent that and allow you to run safe. Get Your Gait – Everybody walks differently, and it doesn’t always come natural to everybody to transfer into a run. A good running shoe can help you feel more natural and adjust your natural stride. Confidence – Having the right shoe can make you feel more comfortable and in turn more confident. More confident runners tend to have more stamina and perform better physically. So a good pair of running shoes can be the performance boost you need. While regular shoes and walking shoes surely play an important role on their own, they often don’t have the added features that make running shoes superior for running. They might protect your foot, or even let them breathe, but support and comfort play a major role in running shoes where regular sneakers just can’t compare. Shoe Weight – When running one generally hits the ground with more force, as a result of this, additional padding is generally required in order to protect the foot. Because of this, most running shoes tend to be significantly heavier than other types of shoes. Heel Height – The point of impact with the ground changes when you’re running. Depending on your gait different running shoes will have different height heels (depending on where the point of impact is). Whereas regular shoes are generally flat and don’t require heel height. Heel Shape – In running stability is an important factor, and different shaped heels help distribute weight and balance better. 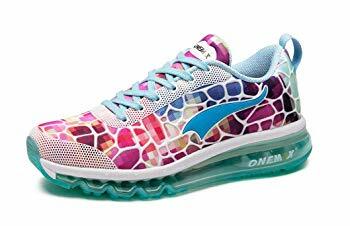 Depending on the requirements of the runner, different running shoes will have different shaped heels. Flexibility – Because of the movement that is required when running, many running shoes will be more flexible than a standard walking or regular shoe. The shoes will also differ in the places where they bend, being that the natural movement of the foot changes between running and walking. Having good posture can be a simple way to avoid getting injuries in the long run, and finding a shoe that promotes good posture is an easy way to help you get on that track. Good posture is the ability to have your ears, shoulders, hip joints and ankles align in one straight line. When running, it’s important to have good posture so that your bones and structure could help with some of the heavy loading and not leave it all up to your muscles. Bad posture derives from long hours spent sitting. This causes your hip flexors to shorten, reducing leg rotation and stride length, causing your calf and back muscles to tighten. This, in turn will tighten your chest muscles and round your shoulders and keep you from maintaining or even achieving good posture. Getting good posture is a process, and nothing is an easy fix, but some tips may help achieve it more than others – or at least faster. Don’t Over Stride – Keep your steps paced and together. Over striding can cause you to lose balance or over exert yourself and you won’t be able to maintain good posture. Land Lightly – It’s important to try and not pound on the ground too hard in order to maintain good posture. Pro Tip: The most efficient way of doing this is landing on the balls of your feet. Cycling Motion – When you lift your feet off the ground bring them closer to your chest, this motion will resemble that of cycling and will help you maintain posture. Arms – Coordinate your arm and leg movements to ensure balance. If your arm and legs aren’t coordinated it will cause you to bounce and then lose form. Running shoes, similar to people, come in all shapes and sizes, and there isn’t one best shoe that everyone can agree on. Different people have different needs and thus different shoes, here’s a few things to keep in mind when you are buying your shoe. Heel – The heel of your foot should fit snugly into the shoe without feeling tight. The way to test this is to see if you could slide your foot into the shoe comfortable while the shoe is laced up but not tied. It’s important to keep in mind that anything that’s bothering you in the store will get worse while running. Instep – A shoe should feel snug but not tight around your instep. Similar to the heel if the shoe is putting pressure on your instep while in the store that problem will worsen tenfold while actually running. Width – The shoe should be wide enough that you are able to move from side to side slightly. If you can feel your big toe pushing up against the side of the shoes fabric, then it is not wide enough for you. That said, the shoe shouldn’t be so wide that you feel unsecure or as if there isn’t a snug enough fit while walking and running. Length – it’s important that you have room between your toes and the edge of your shoe. Feet lengthen and swell during a run, and if your shoe doesn’t have enough room in the front to elongate, then your toes will chafe and irritate as they hit the front of the sneaker. Flex – Different people, depending on their gait, have different flex points across their feet. It’s important to ensure that the running shoe you buy has the same flex creases as your own natural foot. That way, your natural gait will be supported while running. Feel – Every foot is unique, whether it’s the way it moves, the way it’s shaped or where the arch is. Therefore, it’s important then when you buy a pair of running shoes, you make sure that the feel is good. It’s important that the shoes contours and creases follow the same one as your own foot, which will support your natural gait and allow you to be comfortable during your run. Running shoes are made for functionality, and therefore, if they’re not serving their function, their basically useless. It’s important to recognize what function it is you need and buy your shoes accordingly. Here’s how to avoid buying the wrong shoes. Buying Solely based Off Looks – When you buy your shoe of course you want to love it, but it’s important to keep in mind that if you buy the wrong shoe, then you’ve sacrificed your feet for fashion. Not only will the wrong shoe not be useful, it could be counterproductive and even painful. Buying Shoes That are too Small – Tight fitting shoes lead to blisters, black toenails, chafing and they increase the chance of injury. It’s important that you buy a good footing shoe with a snug fit and a roomy toe box. Assuming Your Size – Every company, every shoe and every style has a different sizing. It’s important not to just assume your size because you might be wrong. Measure your foot and then decide based off of the measurements of the running shoe. 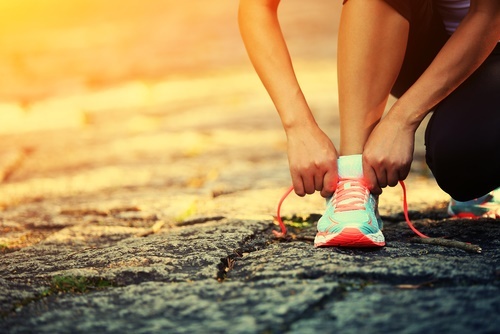 Running plays a major role in a lot of people’s lives, and being that it offers advantages such as, weight loss, disease prevention and increased lung capacity, it’s really no mystery why. 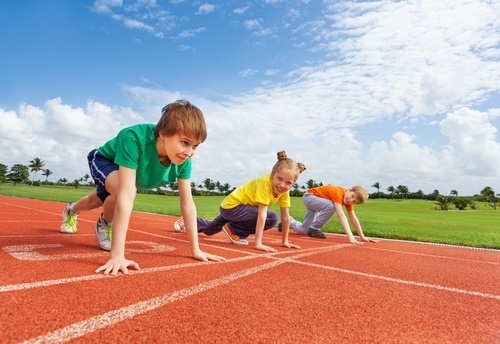 However, what many people don’t realize, is how important it is to run in the right way. Running has many advantages, but it also comes with risks such as injury, dehydration and heat stroke. So always remember, it’s important to take all the proper precautions necessary before embarking on your healthy living journey.